When you require a durable chain link fence for your property, come to Hohulin Fence. Because we have served Illinois for more than 120 years, the result you are left with is quality fencing marked by superior craftsmanship. We only use top-quality products that last the test of time. And all our fences are made right here in the USA. So, if you need chain link fencing for your home or business, we should be your first phone call. Additionally, we’re a family owned business, immersed in the fencing industry for well over a century. We provide chain link fence installation Champaign IL wants. Founded in 1897 by Sam, Tim and John Hohulin, sons of Gottlieb Hohulin, we were the first to commercially manufacture chain link fence fabric in this country. 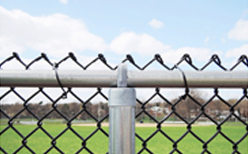 Choose from chain link fences designed for commercial use and residential use. Hohulin Fence, offering a wide selection of options, gives you choices ranging from residential to commercial chain link fencing systems. 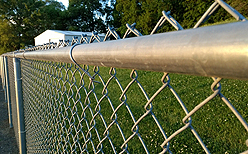 To inquire further about our chain link fence installation in Champaign IL, contact us at 217-655-9631. Alternatively, you can email us at info@hohulinfence.com. We are based at 116 South Harrison Street in Goodfield, IL.